Matt Cutugno’s debut novel, The Winter Barbeque, became an Amazon #1 Best Seller in Aging Parents. 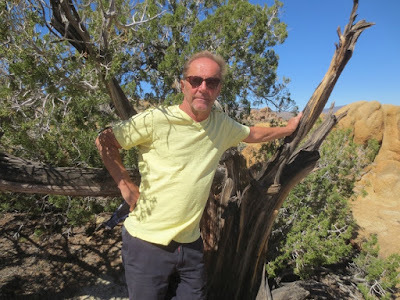 He is the author of four novels and eleven produced plays and his latest book, Mescalero Way, is the second in his Tarnished Justice Series that continues the tradition of the great Western writers. 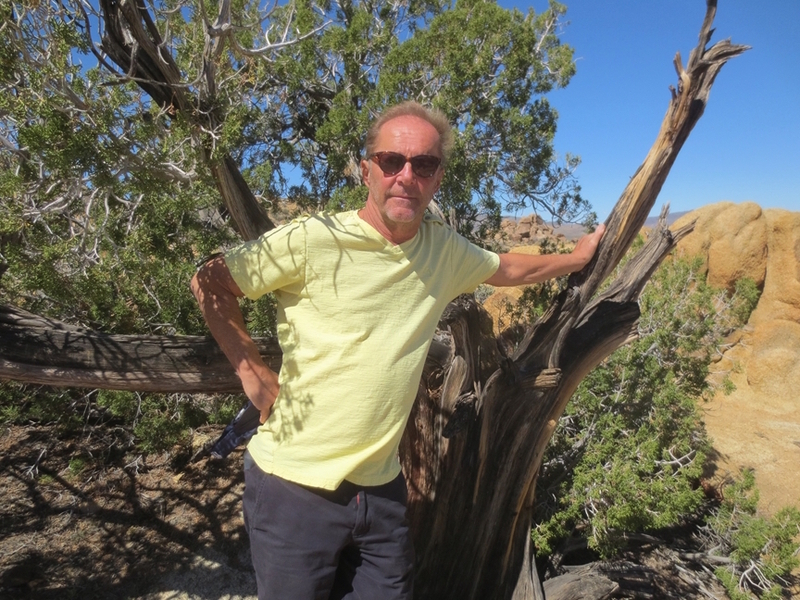 Stay Thirsty Magazine had a chance to visit with Matt Cutugno at his home in Indio, California, for these Five Questions about his new book and the Western genre. 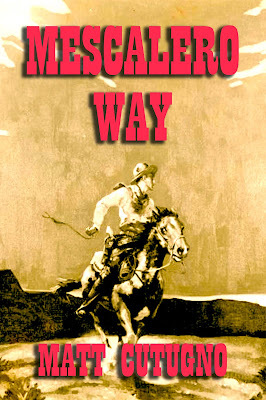 STAY THIRSTY: Your new book, Mescalero Way, is a prequel to your first Western, The Godless Men. Pony express riders and lawless times unfold amidst a backdrop of the coming Civil War. How did the actual history of the Old West shape your thinking as you wrote this story? MATT CUTUGNO: The old west was a dangerous place, life was cheap, and justice hard to come by. I have never been a fan of revisionist history. Real facts and dates are the framework of my fiction so it’s imperative to stick as close to historical truth as possible. In Mescalero Way the story goes from the deserts of New Mexico, to California, to Missouri. I did my research, paying attention to what the land and life was like at that time in order to give my tale verisimilitude. STAY THIRSTY: When you craft your stories, how do you go about establishing the characters and their motivations? MATT CUTUGNO: I think about plotting and characters and their motivations for a long time before I actually write. I run different scenarios through my head asking myself how a particular character would behave in a certain situation. Perhaps it’s fanciful for a writer say that characters write themselves, but it can be true. I aspire to write stories that are both believable and surprising. I like my characters to be colorful and conflicted. Most of all I want their words and actions to ring true. STAY THIRSTY: Why are stories of the 19th century Western experience still so popular? What elements in the American experience keep readers coming back? MATT CUTUGNO: When you think about it, we’re not so many generations removed from that Western experience. I’m a baby boomer, and my parents grew up with The Great Depression and then World War II. Their parents were born in the 19th century, and many of us have photographs from those long ago days. Another reason Westerns are popular is they speak of simpler times, unspoiled land and water, majestic mountains, stark deserts, great herds of buffalo and endless opportunity to pursue the American Dream. STAY THIRSTY: How did you become so familiar with the weaponry used in your books? MATT CUTUGNO: It’s about my love of history and willingness to research. I think that back then men talked about their guns, what they cost, how well they worked, pistol, rifle, ammo all the different types. Guns were highly valued and in my writing I want readers to appreciate that. It makes the story more real. STAY THIRSTY: Was the 19th century’s doctrine of Manifest Destiny on the right or the wrong side of history? Was it a political means to an end or one motivated by commerce and greed? MATT CUTUGNO: I think it was a newspaper editor who coined the phrase, but really, in terms of history it was nothing new. The Romans did it, the Arabs did it, the Turks did it, and the British did it, among others. What we name Manifest Destiny is simply a powerful people saying we are superior, our way is best, and we’re imposing our will over the land. Nowadays History doesn’t unfold like that, but back then might made right.